About Wise Foods | Gonneville Inc. Wise Company performs regular testing to ensure that its packaging meets or exceeds industry standards for quality. To the right are the latest results of packages tested at random as recent as March of 2015. Silliker provides a complete solution to help food services, catering and distributors to ensure the safety and quality of their products while improving and protecting their brands. * Analytical results from 29 pouches tested by Silliker Labs from 2/03/15 – 2/26/15. COA # CHG-37837217-0 & CHG-37837216-0. COA Date: 3/16/15. † Results from various pouches tested by ExxonMobil. Frequently Asked Questions about Wise Company’s innovative products. Where should I store my Wise Food? This depends upon where you live. Wise products are made of both freeze-dried and dehydrated components and are affected by temperature, moisture, oxygen and light. Optimal storage conditions for our foods are in cool, dry places. On average, each individual serving requires 1 cup of water. Hot water speeds up the process of reconstitution. Wise foods will be ready to eat more quickly when hot water is used. However, many of the foods can be re-hydrated and ready to eat with any temperature of water. How are Wise foods packaged? 100% of our foods are packaged in airtight Mylar pouches. These pouches are then arranged in durable polyethylene buckets for easy storage. 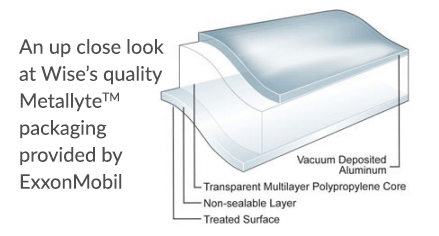 Please scroll to the bottom of this page for more details on our quality packaging. Studies have proven that freeze-dried and dehydrated foods will last up to 25 years or even longer. For optimal storage life it is suggested that food be stored in a cool, dry place, such as a basement, with room temperatures of 50 to 55 degrees. Wise Company uses a combination of technologies to achieve the best taste and quality. Certain ingredients set-up and taste better when freeze-dried (vegetables, fruits, meats) while others do better through dehydration. In these cases, dehydrated ingredients offer all the benefits and better value than foods that have been freeze-dried. Wise Company takes a unique and innovative approach to food production for camping and long-term emergency preparedness. Our ready-made entrées, meats, vegetables and fruits may be freeze-dried or dehydrated. However, both processes promote an extremely long shelf life. 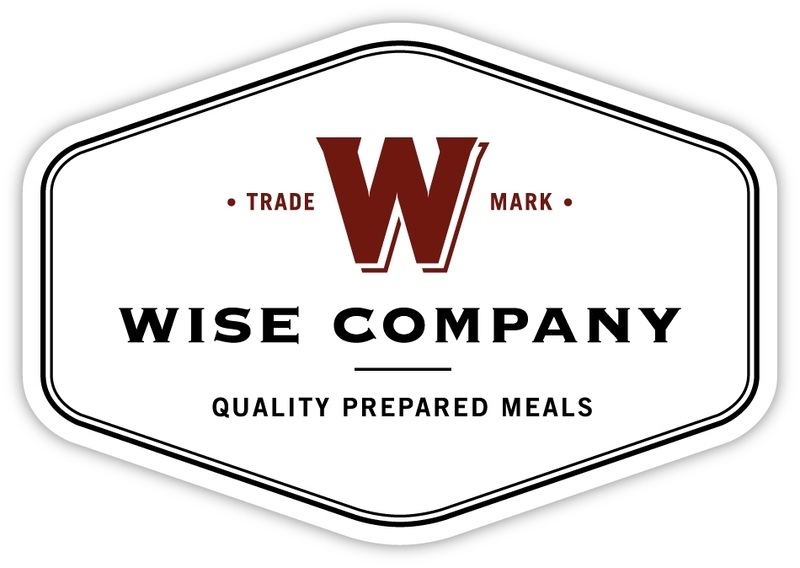 Wise Company customers enjoy greater peace of mind because of the food’s long shelf life and great taste. Why should I purchase Wise Company products? We are dedicated to providing dependable, simple and affordable ready-made freeze dried and dehydrated foods. At Wise Company we have a long track record of customer satisfaction. We are confident that you will find our product to be of the highest quality, best priced and the most available.